Debugging is a methodical process of finding and reducing the number of bugs, or defects, in a computer program thus making it behave as expected. thinBasic has its own debugger called thinDebug. thinDebug has been developed both as integrated application and as module. 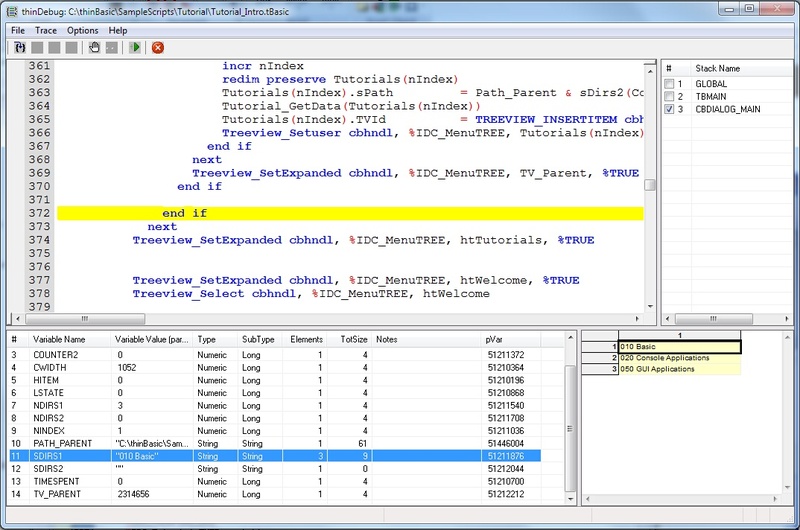 With thinDebug programmer can control application execution step by step inspecting variables and functions stacks.